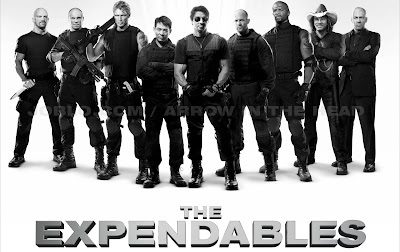 About: Two things were obvious from the posters of The Expendables that put together in one frame the likes of Stallone, Statham, Jet Li, Lundgren, Couture, Steve Austin, Rourke & Bruce Willis. One, it isn't going to be a drama/plot driven movie. Two, even going by a per actor quota, there are going to be too many heads severed, buildings blown and karate kicks to be exchanged. Frankly speaking, in the end movie comes true on both the assumptions. Who can enjoy this movie: An action movie buff who relishes the blood, sword and the gun just as gracefully as others may appreciate the drama or the music. Plot in short: Stallone & team take up the job from Bruce Willis to blow up a palace and terminate a small army. They do it in two installments. Nuances: Now, how do I put it ? 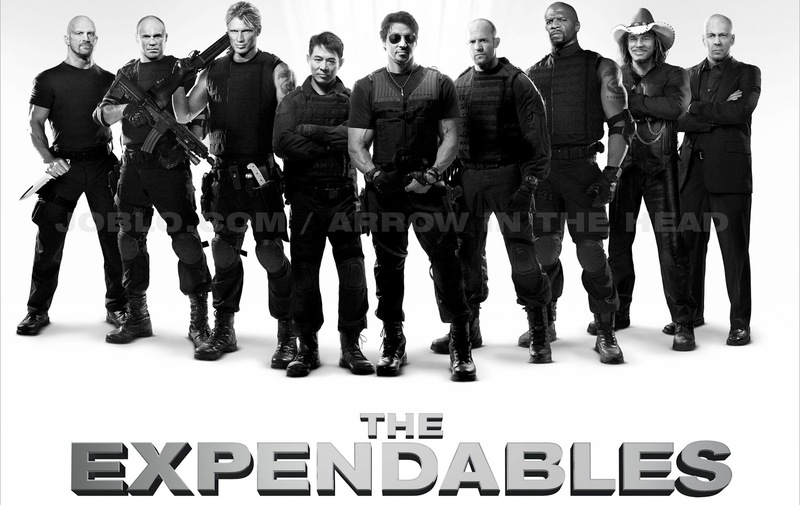 The expendables can most accurately be explained as 'the best from RAMBO 4 and Ninja Assassins'. The action sequences are choreographed with such brilliance and detail (as in Ninja Assassins) unraveled with the savageness of Rambo 4. As a result, you'll never manage to get the best of each frame and yearn for more. Few unnecessary subplots included only to squeeze in few more fight sequences. Statham firing few rounds of ammunition, sitting literally on the nose of the fighter plane. Terry crews with his heavy duty gun doing what an wild running elephant does to the sugarcane field. Conclusion: With a running time of about 100 minutes, the movie is an engaging watch for the action movie fans. Those that do not have a stomach for blood, knives and explosions can definitely skip. going through your review, I feel it is apaisa vasool movie for all us Rambo lovers.